Psalm 102:11-12 (KJB) My days are like a shadow that declineth; and I am withered like grass. 12 But thou, O LORD, shalt endure for ever; and thy remembrance unto all generations. In ancient times, after sin was present on this earth, there was no possible way for regenerated mankind to be found forever in their eternal state of rest in eternity though some ancient people were saved through faith, as was Abraham, there was no eternal pathway present for them to enter into their final resting place in heaven. However, that pathway is established and available for any man today through the “spiritual fuel” of faith. 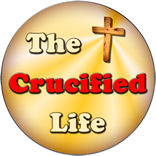 It was made possible and paved by Jesus Christ’s substitutionary and sacrificial death on the cross. Yes, He died for all sin and paving the way for you and I to live forever in the eternal realm. Yes, many good men and women, some who were even mentioned in the “Faith Hall of Fame” located in Hebrews chapter eleven were saved in Old Testament times as mankind is today, through faith in God. However, they could not reach the heavenly realm immediately upon their physical death because Jesus Christ had not made spiritually paved the way through His finished work on the cross at Calvary. Therefore, their spiritual bodies remained in their grave until the time Jesus Christ died on Calvary and rose from the grave. As these great spiritual events culminated, God released their spiritual bodies to rise from their graves and be spiritually alive on this earth. They were soon escorted to the heavenly realm by Jesus Christ on His return to the heavenly realm to sit down at the right hand of His Father God. Matthew 27:52-53 (KJB) And the graves were opened; and many bodies of the saints which slept arose, 53 And came out of the graves after his resurrection, and went into the holy city, and appeared unto many. Yes, the Bible clearly says that these saints spiritually arose from the grave the very moment Jesus Christ was crucified on the cross at Calvary. He was put to death for the sin, past, present, and future, of this world spiritually calling awake all the Old Testament saints for going to their new eternal home. Their grave was merely a temporary resting place for their spirit, but the eternal realm was to be their forever spiritual home. Today, when every person dies his physical body is buried in the grave forever and goes back to dust, but his spiritual nature goes immediately to its eternal home; either in heaven with God, or in an eternal hell without fellowship with Him. Yes, indeed, every spiritual body goes to eternity. Jesus Christ can be your Eternal King through faith thereby ushering you into the heavenly realm upon your physical death just as all His eternal saints were escorted to the heavenly realm. Praise God we serve a living and eternal King who has victory over the power of sin and death. We serve an alive and risen Savior. Praise God His tomb was empty on the third day. It was empty because Jesus Christ was alive forevermore, instead of dead and buried in his grave. His grave clothes, which were of this world, were left in the grave but He was alive! Through the centuries there have been many “want to be gods” whose body has returned to dust inside their earthen grave. They are physically “dead as a door nail”, but their spirit is found in the eternal realm as either alive in Christ forever, or as dead their sin. Some memorable persons who were thought to be gods while they were physically alive in this world include King Tut, Apollos, Hermes, Zeus, Allah, Thor. More familiar or “modern gods” now physically dead in their grave, including Ellen White, Dali Lama, the popes, and a few cult leaders who took their own lives along with the lives of their mislead followers. They were looked unto as gods by their members while physically alive on this earth. However, today they are nothing more than dead bodies inside graves in this world but God is forever alive in this world and forever more in the eternal realm! Jesus Christ arose, not because every man is somebody special in God’s book, but because we serve a risen Savior. It is because of who God is and His special supernatural nature that Jesus Christ arose from the grave and defeated death forever. It is because of His unmerited love and great mercy and grace for mankind. It is because Jesus Christ was following the will of His Father God and chose to be obedient, even unto death. Revelation 1:8 (KJB) I am Alpha and Omega, the beginning and the ending, saith the Lord, which is, and which was, and which is to come, the Almighty. Revelation 22:13 (KJB) I am Alpha and Omega, the beginning and the end, the first and the last. Praise God we can forever be alive because God sent His Only Son to die for every man, including you and me. 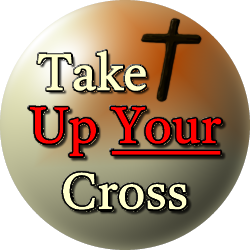 We too can share in eternal life through placing faith in His finished work on the cross at Calvary. Our spirit will rise from the grave spending eternity either with Him in heaven or forever be lamenting in hell without having the spiritual presence of God. Our permanent eternal home is certain, but our address, whether it be heaven or hell, hinges upon the state of our heart towards the holiness and righteousness of God.